If you work in the building services or construction industries, there is a high chance that you will be coming into contact with asbestos. Employers must make sure that anyone who is liable to disturb asbestos during their normal work, or who supervises those employees, gets the correct level of information, instruction and training. Asbestos information, instruction and training is required so that employees can work safely and competently without risk. You can read more about getting the right information on Asbestos removal, policy and legislation, training and more on our blog. They are designed to provide you and your employees with a base level of information and training, allowing you to recognise the dangers of asbestos and what to do if you encounter it. 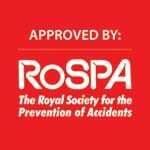 Our Asbestos Awareness training courses are RoSPA & IATP approved. 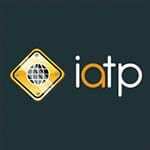 These courses are priced at £35 +VAT. Click on one of the courses below to find out more.